Windows serve several very important functions in the modern house. They enable airing of the rooms, provide thermal insulation, reduce sound, repel burglars and can also be used to make a statement. The average lifetime of a window is calculated to be ca. 48 years. They are therefore also a long-term investment, that should be considered very carefully. Consequently there are points to watch for when considering the replacement of existing windows. For windows there is no such thing as an expiry date. 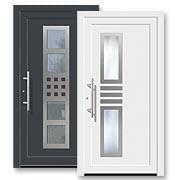 If and when a window should be replaced depends on a number of different factors. In many older buildings today there are often fully-functioning intact windows with wood frames and single or double glazing. However, a lot of energy and thus a great deal of money is being lost through these very windows. Almost a quarter of the heat within a room can be lost via badly insulated windows. In such a case the replacement of windows would be extremely worthwhile as energy costs are ever increasing and despite the outlay on new windows a lot of money could be saved in the long run. A window must be airtight and draughtproof. No draught should be felt. During a strong rain shower no water must be able to get into the interior. The opening and closing mechanism should function without problems. When it is frosty no condensation must build up on the pane. Furthermore, the window should not become misty or steamy. No mould should build on the walls within the room. Excessive noise should not enter the room from outside. The surfaces of the window profiles should not be damaged. The window should not simply be single-glazed. Replacement of a window is especially recommended when more than one of the above points is valid. The cost of a window when being replaced also varies. Here, too, the different conditions such as material, size, shape and colour all play a role. 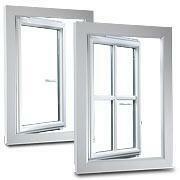 When it comes to material, wood windows are cheaper than windows made of wood-aluminium. The most economical material is PVC. The choice of frame depends primarily on the taste of the customer, as all modern and new window materials come with the best thermal insulation and sound-proofing properties. 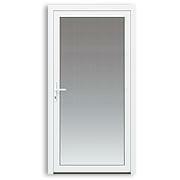 All newer profile materials therefore contribute to energy saving. Extra costs can be incurred on replacement on choosing a special colour, an optical enhancement in the chosen glazing, window bars or by additional security features. On the other hand, money can be saved on the installation, i.e. by doing it yourself. One must only be careful that the connecting joints are tight together but allow air to pass through during fitting.